I have been spending entirely too much time goofing around in the intertoobs, but I’ve come across some really excellent blogs I wanted to bring to your attention. Mr. Duffy not only writes well but he’s talking to people and writing about stuff that the other bloggers I read are not. Plus he’s got great taste in music. Did I mention he’s in Boston? “The website formerly known as The World’s Most Dangerous Beauty Salon, Inc.,” is owned and operatead by Susan DuQuesnay Bankston who lives “in [the] heart of Tom DeLay’s old district. It’s crazy here. No, seriously, it’s triple z crazzzy.” Susan does local and national politics like nobody’s business. The blogger known as Dr. Isis has some fancy-sounding degrees and is a physiologist at a major research university working on some terribly impressive stuff. She blogs about balancing her research career with the demands of raising small children, how to succeed as a woman in academia, and anything else she finds interesting. Also, she blogs about shoes. In fact, she blogs a lot about shoes. About 80% of what Dr. Isis writes is the God’s honest truth. About 20% is total nonsense. Dr. Isis makes no claims as to which is which and neither should you. She’s parked at the intersection of science and society but she’s not kidding about the shoes. The name doesn’t exactly scream “food!” but as it says in the header, Hugging The Coast is “a daily updated celebration of coastal food.” It is a treasure trove of deliciousness. The owner/operator/photographer Doug Ducap, a former New York cab driver, posts original recipes which delight the palate and the eye. Go visit. Tell me I’m wrong to think Hugging The Coast is the best food blog ever. 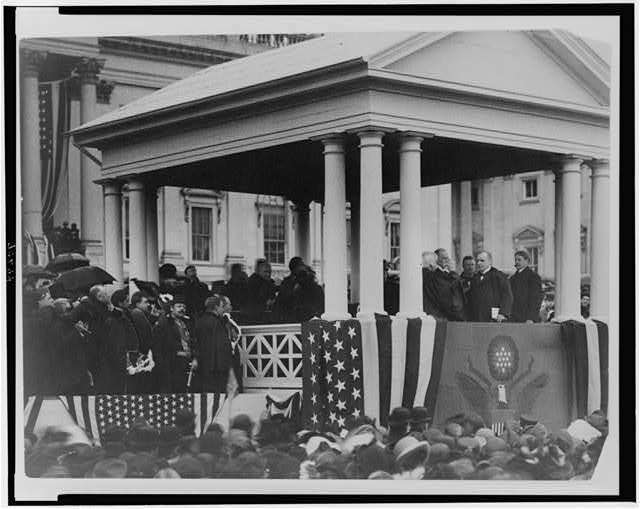 Second inauguration of President William McKinley, 24th President of the United States (1897 - 1901), March 4, 1901. 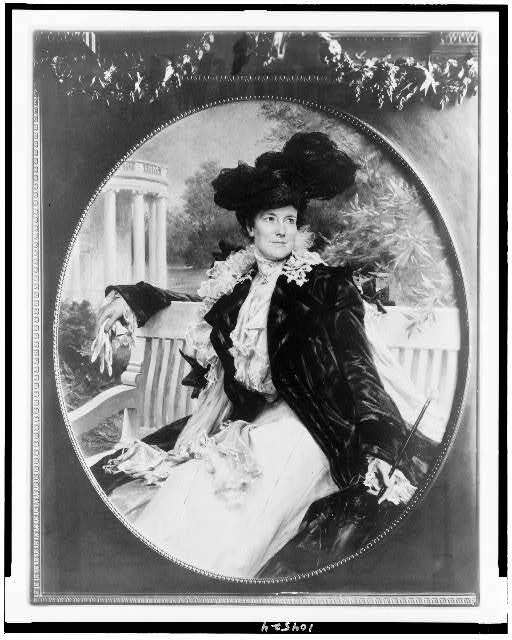 I did an earlier post about the menu and history of today’s inaugural luncheon which has a link to the recipes, but I came across the menu and recipes from President McKinley’s 1901 inaugural luncheon and I thought it was a little more up my alley. Here are the recipes. Bon apetit, as Julia would say. If you would like to know about other past American presidents, try here or here. I heard in passing from the teevee this morning that President Obama’s inaugural luncheon menu is going to contain some of President Abraham Lincoln’s personal favorites. That has been confirmed by googling around. In addition to Obama’s affinity for this particular past American president, another reason for the Lincoln-oriented menu, which will be served on replicas of Lincoln’s White House china, is that 2009 is the 200th anniversary of Lincoln’s birth, an event to be acknowledged and celebrated. 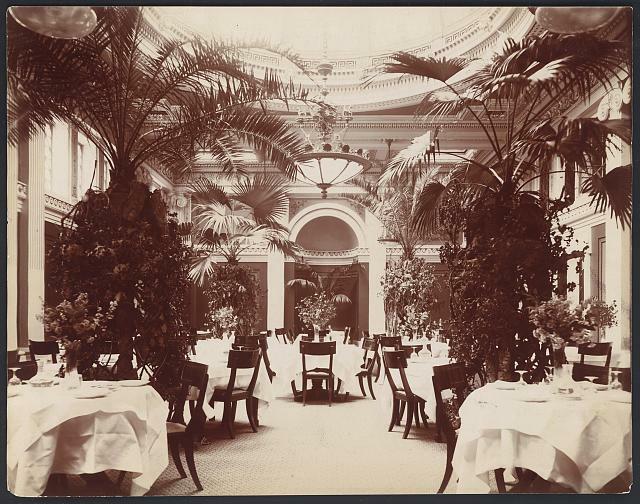 Interestingly, the term “lobbyists” was coined by General Ulysses S. Grant after spending time hanging around the lobby of the Willard Hotel during his presidency. Now you can make it at home! Toast is great, but it’s hard to keep in your pocket. So what do you do when you crave the warm comfort of toast but don’t want to deal with the crumbs? You pull out your Inflatable Toast, blow it up and admire its realistic toasty goodness! Each soft vinyl slice of toast is 6″ tall and has a standard inflation valve. The ever vigilant Steve Benen alerts us that in honor of Barack Obama’s inauguration as President of these United States Ben & Jerry’s is renaming its butter pecan ice cream. Ben & Jerry’s will be donating the proceeds from all January Scoop Shop sales of “Yes Pecan!” to the Common Cause Education Fund. In addition, for every person who joins Common Cause or donates $1 to the Common Cause Education Fund (presumably during January), Ben & Jerry’s will also donate $1. Mmmm! Contributing to the public good never tasted so good!